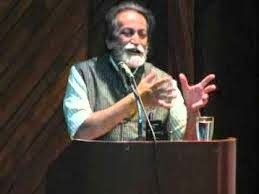 Eminent Marxist thinker Prabhat Patnaik reflects on some of the contemporary debates on Marxism in an interview with Satyaki Roy. SR: What according to your view are the distinguishing features of Marxist theory vis-a vis other liberal schools of thought or critical theories? PP: To me what is central is Marx’s discovery that capitalism constitutes a “spontaneous” system which is subject to immanent tendencies of its own independent of human will and consciousness. The system of course works through the actions of individual human beings, but these individuals lack authentic “agency”. They act in particular ways because if they did not do so, then they would lose their place within the system. Even the capitalists are engaged in a Darwinian struggle among themselves and are coerced into accumulating capital. Marx in fact referred to the capitalist as “capital personified” underscoring the fact that even the capitalists lacked “agency”. The “spontaneity” of the system does not get negated by a change in the balance of class forces. What happens at the most in certain conjunctures is a shift in the point of origin from where it begins to operate. The immediate post-war period for instance was one such conjuncture in my view. Capitalism in short is not just an anarchic system; it is not just an exploitative system; it is in addition a “spontaneous” system, where every participant is unfree and alienated. Human freedom therefore is impossible without transcending capitalism, not just in the sense that nobody can be genuinely free if someone else is unfree, i.e. if exploitation persists, but in the even stronger sense that everybody is unfree under capitalism, and hence nobody can be free without transcending the system. The quest for freedom is an essential characteristic of human beings. In this quest therefore there is no escape from Marxism. This quest moreover acquires particular urgency in the contemporary epoch since capitalism rapidly commoditizes all aspects of life and brings mankind to an impossible historical denouement which again is an expression of its immanent tendency. The choice before mankind therefore is either to continue to suffer this denouement at incalculable cost to itself, or to break out of it by making use of Marx’s discovery. SR: Marxism is a theory of praxis. How do you reconcile the fact that in the current conjuncture Marxism seems to be relevant as an alternative theoretical construct but perhaps not as a predominant worldview for social change. PP: Intellectual fashions do not concern me. What Marxism “seems” to be to some people at a certain point of time is not very relevant. What is relevant is whether its basic insight is true. And to my mind the truth of it is even more evident today than earlier. In fact there was a period after the second world war when capitalist economies operated close to full employment, when decolonization was effected, when “welfare state” measures were carried out under the aegis of social democracy even within the capitalist economies. During that period it appeared that capitalism was malleable enough to permit a change for the better even within itself, that a transcendence of the system was unnecessary, and that the “spontaneity” that Marx had talked about was not central to its functioning. That however has turned out to be an illusion. Centralization of capital, an immanent tendency under capitalism, has now brought us to a world of globalized finance which imposes “neo-liberal policies” on all nation-States. The term “neo-liberal” here is actually a misnomer. All States today pursue policies that favour international finance capital for fear that failure to do so would bring about capital flight and hence acute crisis. The State in other words has become a promoter, exclusively, of the interests of finance capital, unlike earlier when it appeared to stand above classes (despite being a bourgeois State) and arbitrate between them. Neo-liberalism has plunged the capitalist world into an acute crisis of which there is no end in sight; it has caused large-scale unemployment everywhere, and widened immensely the inequality between the working people of the world taken as a group on the one side and the capitalists and financiers of the world taken as a group on the other. The unfolding of this tragedy vindicates the truth of Marxism that human freedom requires the transcendence of capitalism. There can be no progressive social change without this awareness. The social change we are seeing today, which appears to by-pass Marxism is alas in the direction of fascism. It confirms rather than disproves the truth of Marxism. SR: What is living and dead in Marxist theory? Which are the frontiers that need to be pushed further to get a better grasp of present day capitalism? PP: I think that the use of terms like “Marxism” and “Marxist theory” can be misleading. The point is not to look at the views of one individual, Karl Marx, and see how much of it is right and how much wrong. Marx is important because he gave us an approach, a way of looking at our contemporary social reality that is in my view true. The point is to use this approach to carry forward the analysis. In fact very little has been done in this respect till now. And focusing on Marx the individual detracts from the task of carrying forward the analysis; it pushes one instead towards hagiography. We do not after all use the term Freudianism to refer to psychoanalysis and Darwinianism to refer to the science of evolution. Why then should we use the term Marxism to refer to a mode of scientific analysis of society? In fact using the term is a way of ghettoizing the path-breaking contributions of Marx and of all who have followed his lead in developing such a scientific understanding of society. Of course carrying forward this tradition of analysis which I consider a scientific tradition, does not mean rejecting contributions from other points of view. On the contrary it means using as building blocks every correct insight no matter what the weltanschauung of those who possess this insight. As Joan Robinson once remarked, the fact that Michal Kalecki, coming from a Marxist tradition, and J.M.Keynes, coming from a liberal tradition, could develop the same theory of employment, testifies to the scientific worth of that theory. What “Marxist theory” has to do is to use all scientific advances, no matter where they come from, to develop its analysis of the totality that constitutes our society. By the same token however there are many things in Marx and later Marxists whose meaning and relevance are not clear, and one should not be obliged to use them just because Marx had written about them. (An obvious example for me, though others may disagree, is the falling tendency of the rate of profit). In short the idea is to reconstruct at every moment our understanding of the totality, on the basis of the approach outlined by Marx, to a point where theory “bursts into praxis” (to use Lukacs’ phrase). What bit of Marx is to be used in this reconstruction and what bit of Keynes or of other ideas, cannot be determined a priori. SR: Dominance of finance in the current phase of capitalism has been a critical point of departure in your analysis of ‘temporary truce’ between imperialist forces? Is the world at present closer to Kautsky compared to what Lenin conceived? PP: No, not at all. Kautsky was talking about a temporary truce between different finance capitals, each of which was nation-based, nation-State-aided and had, whether engaged in rivalry or in truce, a specific national identity of its own, such as British finance capita; French finance capital or German finance capital. The driving force behind the current process of globalization however is international finance capital­ which is not based on a particular nation or aided by a particular nation-State. This international finance capital does not want a partition of the world among rival powers, for any such partition constitutes a barrier to its movement. Thus the fact that there is free mobility of capital and a muting of inter-imperialist rivalry is not because of any truce between national finance capitals but because the lead actor itself is different today. In short, today’s world has gone beyond not only Lenin but also Kautsky. The conjuncture that gave rise to that whole debate between Lenin and Kautsky is a thing of the past. SR: The dominance of productive capital and finance capital had been cyclical in the longer history of capitalism? Do you think that as capitalism led by finance approaches a terminal crisis there are possibilities of cycles that would be driven by productive capital? PP: I am not sure I agree with this cyclicality you mention. Production and finance have always been enmeshed in modern capitalism, as Lenin had emphasized. Keynes too had talked of the overwhelming importance of speculation, which was not after all the prerogative of only a particular group, namely the financiers, in determining the level of activity in a capitalist economy. Today, even more than before, you cannot talk in terms of a separate entity called productive capital different from finance capital and hold that the latter alone is engaged in speculation. So, the “terminal crisis” that you mention is not one of finance capital alone but of capitalism as a whole. Let me elaborate. Capitalism, as Kalecki had emphasized, needs some exogenous stimulus to achieve sustained growth through its cyclical fluctuations. Right until the first world war, the colonial system, by which I mean both the colonies of conquest and the colonies of settlement taken together, provided this stimulus. The diffusion of capitalism to the colonies of settlement, owing to large-scale migration of labour from Europe and the complementary movement of capital, kept the level of aggregate demand strong and caused the long boom of the (long) nineteenth century. The colonies of conquest like India converted the goods of the leading capitalist power, Britain, into those demanded in the new world, i.e. changed the form of British exports; and they also added their own surplus, sucked out of them through “the drain of wealth” that the India nationalist writers had talked about, to swell these capital exports. All this however came to an end with the first world war, which is why the inter-war period saw a Great Depression. The second exogenous stimulus was State spending that Keynes, already in The Economic Consequences of the Peace, had seen as the panacea for the problem of aggregate demand. This took off in the post-war years. But this too came to an end with the process of globalization of finance which imposes austerity on governments. Capitalism today therefore is without any exogenous stimuli: all it can fall back upon are occasional “bubbles” that are transient. Contemporary capitalism in short has a fundamental problem; it is mired in my view in a secular crisis. But this has nothing to do with the distinction between “finance capital” and “productive capital”. SR: Although you have talked about ‘accumulation through encroachment’ do you agree with Harvey that the focal point of resistance in today’s world emerges in the realm of ‘accumulation through dispossession’ rather than that in ‘spheres of expanded reproduction’? PP: I had developed independently a somewhat parallel distinction to Harvey’s, which I had called a distinction between “accumulation through expansion” and “accumulation through encroachment”. I prefer my own “accumulation through encroachment” to Harvey’s “accumulation through dispossession” because it incorporates more explicitly the phenomenon of private enrichment at the expense of the State sector, which is a very important phenomenon in India, as underscored by the 2-G Spectrum scam and the coal-bloc-allocation scam etc. But I do not understand this point about resistance arising in the realm of dispossession, as opposed to the realm of expanded reproduction. To me the basic concept is the “worker-peasant alliance”, which obviously must be generalized to the “worker-petty-producer” alliance. Neo-liberal capitalism, with the State almost exclusively promoting the interests of the corporate-financial elite, has unleashed a massive process of expropriation of petty producers: peasants, fishermen, craftsmen, artisans etc. Historically, the strength of capitalism has been to divide the workers from the peasants, and to enlist the support of peasants and petty producers by putting into them the fear that socialism would destroy all private property including petty property. The squeeze on petty producers that capitalism actually exercised in the metropolis was alleviated to an extent by the large-scale migration to the new world mentioned earlier, which meant that the worker-peasant alliance could not be formed in the metropolis. This in fact was the reason for the defeat of the Paris Commune. In societies like ours which have vast numbers of petty producers and where such producers are facing massive attacks, making even simple reproduction difficult for them, the scope opens up for the worker-peasant alliance like never before. For this however the traditional Left approach to petty producers has to be suitably altered. Protection of the petty production sector, even though it represents a more “backward” sector of production compared to capitalism, has to take priority; only after it is protected can this sector be gradually transformed into collective and co-operative forms of production organization. A kind of “productionism” which often characterizes Marxism, where the development of the productive forces is prioritized, has to be abandoned. To be sure, the worker-peasant alliance has always been the core of the Left agenda in countries like ours. But the theoretical perspective informing it was that the working class would carry forward the democratic revolution which the bourgeoisie, because of its alliance with the landlords, could not. The basis of the worker-peasant alliance in other words was the protection of the peasantry from landlordism. What is required in the current conjuncture is protection of the peasantry from corporate capitalism, which is the task of the working class. SR: If we accept the fact that the social contract between labour and capital prevalent in the Keynesian-Fordist Golden Age of capitalism was something exceptional then what according to your view is the radical alternative to neoliberalism? PP: There was in my view no social contract between labour and capital. In fact social democracy thought that there could be such a social contract which this was an illusion. In the immediate post-war years when capitalism was faced with an unprecedented challenge to its dominance, it yielded ground to the working class by accepting certain welfare state measures and Keynesian demand management. With centralization of capital and the emergence of globalized finance, which Keynes knew would make demand management impossible (as was clear from his remark that “finance above all must be national”), capital rolled back the gains of the working class. We have to see post-war capitalism therefore in terms of different phases of class struggle rather than a social contract that came unstuck. Today while capital is globalized we have no globally-coordinated working class movement. Since resistance cannot wait until such a globally-coordinated working class movement has come into being, it must demand a delinking of the economy from the vortex of globalized finance and globalized commodity-flows, and the institution of employment-promoting and welfare-promoting measures within such a delinked economy, as against the harsh austerity measures being imposed by finance capital. The paralysis of much of the Left all over the world, especially the European Left, arises because large segments of it are averse to such delinking. They cannot withdraw from a pan-Europeanism even if that involves subservience to the dictates of finance capital. They see such withdrawal as a symptom of “nationalism” which for them is a dirty word. One can sympathize with this position because of the two extraordinarily bloody world wars that Europe has seen, which make European unity, even under the aegis of finance capital, appear like a dream come true. But this perception also explains the paralysis of the European Left. The same problem, more or less, afflicts the Left everywhere. But in societies like ours where such delinking constitutes the basis for worker-peasant alliance, the Left cannot shy away from it; and indeed it has not, which is why it continues to remain a significant force still. It has to supplement its defence of the working people (i.e. workers and peasants) with a demand for welfare measures to be instituted as universal rights. SR: The notion of causal primacy of productive forces in mode of production based analyses often gives rise to a mechanical understanding of historical progress largely laden by technological and economic determinism. What according to your view drives such deterministic interpretation of history and how Marxism is different from such interpretations? PP: I have problems with the typical Marxist text-book presentation of history in terms of a set of modes of production, the transition from one to the next arising because the production relations become fetters upon the development of the productive forces. This may provide a useful way of looking at history but what I find problematical about it is that it makes the transition from capitalism to socialism analogous to the transition from feudalism to capitalism and other such previous transitions. I have at least four problems with this. First, it makes socialism inevitable which in my view it is not. It has to be consciously fought for and achieved. Second, till now there has been a “spontaneity” in history, with the struggle of the people to make their own history resulting always in the achievement of something which was different from what they had intended.Thy were in other words caught within a trap of history which they could not escape from. Socialism, however, while transcending the “spontaneity” of capitalism also transcends the trap of history. It is not just a transition from one mode of production to another like all previous transitions: it marks the beginning of a transition to human freedom. The text-book perspective misses this essential element and hence the centrality of human freedom to the Marxist problematique. Third, because of the unprecedented nature of this transition, a theoretical understanding becomes crucial to it and theory has to be brought to the working class from “outside”. The text-book understanding does not adequately emphasize the need for theory on the basis of which alone a revolutionary consciousness can be developed. And fourthly, it suffers from what I have called “productionism” earlier. If capitalism becomes obsolete only when productive forces can no longer be developed within it, then we cannot think of a revolution until that magical moment arrives when the development of the productive forces gets thwarted. This in practice means waiting for ever, since such a moment can never be identified. (This in fact was the trajectory that Eduard Bernstein had taken). What is more, it even becomes possible to argue that revolutionaries should hasten the development of productive forces under capitalism since that in turn serves to hasten the day of the revolution. I have obvious problems with all this. On the other hand I would like to bring to your notice Marx’s famous remark in The Poverty of Philosophy that “The organization of the revolutionary elements as a class supposes the existence of all the productive forces which could be engendered in the bosom of the old society”. Marx’s position here in my view amounts to saying that the formation of a revolutionary class that would transcend the mode of production is the highest level of development of the productive forces within this mode of production. It is this formation of a revolutionary class therefore which should be the objective of the revolutionaries. This however is a perspective that the text-book view obscures. SR: Dictatorship of the proletariat had not been realized as the widest possible democracy of the working people in erstwhile socialist countries. What ensures a participatory socialism rather than a conducted totalitarianism? PP: I think the term “ensures” here is inapposite. Nothing can “ensure” that the dictatorship of the proletariat would not degenerate into a dictatorship of a party. We are, let us not forget, talking about the biggest project of humanity in its entire history, and nobody would be foolhardy enough to guarantee that this project would be completed smoothly. All that can be hoped for is that mankind would be better prepared to bring this project to completion in future by drawing lessons from the past. Above all it is important to remember that the Bolshevik Revolution did not intend to put in place a dictatorship of the Party, and it has never been the vision of socialism. The fact that a Party dictatorship did come about was because of a whole set of circumstances. And Lenin kept hoping that the spread of the revolution would mitigate the rigours of such a dictatorship. This however was not to be. Any “closure”, any corralling of the revolution is invariably damaging to it. Even when it does not actually spread elsewhere, it need not become a “closed space”. The revolution’s becoming a “closed space” not open to new ideas, not open to criticisms and experimentation, which may happen in certain situations, is damaging. This is a lesson to be learned from the past. Some argue that the basic idea of theory being brought to the workers from “outside” contains within itself the seeds of a Party dictatorship. I disagree with this. Indeed I would argue on the contrary that precisely because scientific understanding emerges through open debate, the scientific understanding of the working class requires that it be exposed to differing points of view. The possibility that such exposure may result in a flourishing of counter-revolutionary ideas, and hence in a victory of counter-revolution, would be thwarted by what Lenin had called the “class instinct” of the workers; such thwarting should be left to this class instinct rather than to control by a single Party. There is a further point we should remember. The institution of parliamentary democracy based on universal adult suffrage simply did not exist in Lenin’s time. It was introduced in Britain in 1928 when women got the vote, and even then there were some residual property restrictions. It was introduced in France after the war in 1945. The major socialist revolutions until now have more or less predated the introduction of such democracy. But the socialist revolutions of the future, occurring in a world where the bourgeois system itself has introduced institutions of parliamentary democracy, no matter how enfeebled they may be, are bound to be different from what they have been in the past. SR: How do you perceive the world of resistance? It is far more multi-dimensional and not essentially evolving on class lines as Marxists would like to see……Your comment. PP: There is a common misconception that the Left should be concerned only with “class issues”. It is a misconception because the Left’s concern is not just with a set of issues that can be exclusively labeled as “class issues” but with bringing a class perspective to all issues. There is much talk these days for instance of “identity politics”. This is a misnomer since what is called “identity politics” covers in my view three very different and totally dissimilar kinds of issues: one is “identity resistance politics” which concerns the resistance of the oppressed segments like dalits, religious minorities and women; the other is “identity bargaining politics” which is when even privileged segments of the population demand “reservations”; and the third is “identity fascist politics” which is when certain political formations, financed by corporate capital, seek to appeal to one section of the people by inciting them against another. The Left has to be concerned with all these kinds of politics, fighting the last, allying itself with those engaged in the first, and taking a discriminating position on the second; and at the same time it has to put forward demands, such as for universal rights to employment, food, healthcare, education and old-age pension and disability assistance that would transcend the terrain where all these kinds of politics exist. So the Left’s position is not just to sit with arms folded until people have got interested in “class issues”, but to engage with all issues, here and now, from a class perspective, to carry them forward in the direction of liberation. Its distinguishing characteristic in short relates to epistemology not to a selectivity among issues. Resistance is always “multi-dimensional”. The Bolshevik revolution happened on the issue of war, which was not, on the face of it, a directly class issue. In fact the working class movement all over Europe was hopelessly divided on the subject. The opposition to the war was made into a class issue, was linked with class struggle and made the basis for a socialist revolution. So, I do not see the Left project being thwarted by the “lack of resistance” of the right kind. The resistance that exists has to be made into the right kind. Just to give one example. I do not see why the Left should not fight for the abolition of the caste system which very few people talk about these days, or for the elimination of dowry. To some extent the Left is doing this, but it could be stepped up. Students and youth associated with the Left for instance could take a pledge that they would never accept dowry, or engage in any form of violence against women. The Left has an enormous amount of work to do. To say that it has become “out of date” or “obsolete” is absurd. SR: The working class is often mystified by the ‘phantom of objectivity’ and a large section of the middle class has become votaries of neo-liberalism. How do you envisage the future of the Left in India? PP: Significant sections of the middle class in India have been beneficiaries of neo-liberalism. And precisely for this reason those of the middle class who have been excluded till now nurture illusions about it. With neo-liberalism in a crisis, I believe that it is a matter of time before middle class disenchantment turns into anti-neo-liberal radicalism, as it has done in Latin America. There is however a danger here. In several countries at this moment, such as Ukraine, Thailand, and Venezuela there are right-wing urban middle class movements which are out to destroy democratic institutions. Many of them, notably the one in Venezuela, are financed and supported by U.S. imperialism; some of them are openly led by fascists like in Ukraine; some like in Thailand are anti-peasant. And a lot of them use “corruption” as the peg on which they hang heir right-wing ideologies. Neo-liberalism breeds “corruption”; but “corruption” itself is made an excuse for strengthening neo-liberalism and pushing the State in a fascist direction with support from the corporate-financial elite and U.S. imperialism. Something of this sort is happening in India as well. The crisis of neo-liberalism is being used by corporate capital, allied to global finance and having proximity to imperialism, to push the country in the direction of fascism by propping up a man, who presided over the anti-Muslim pogrom in Gujarat and who would do its bidding. And the main argument used against the ruling liberal bourgeois Party is that it is “corrupt”, as if “corruption” has nothing to do with neo-liberalism and with the corporate-financial elite itself. Middle class youth in India too is taken in by this. The Left has to struggle against all this. It has to critique the “corruption” discourse. And instead of trying to appease the middle class youth, wherever it is in office, by promoting an agenda of “development” which is defined by the corporate-controlled media but has the effect of alienating peasants and petty producers, it must make every effort to defend the latter and forge the worker-peasant alliance. There is a further point here. The Communist movement came into being on the assumption that world revolution was on the immediate agenda. This assumption of the imminence of world revolution no longer holds. Some of the organizational rules and practices of the party that got established, whether as being necessary for the revolution or as contingent developments whose modification was postponed to a more suitable time, need therefore to be looked at afresh. This relates in particular to those rules which have the potential of promoting bureaucratic centralism within the Party. The main aim in short must be to prevent the Communist movement from becoming “closed” and “ossified”. I think that the Left in India is aware of these problems. I see great prospects for it, above all because it is the most consistent democratic force in the country. Thanks to Vikalp for this. It would have been more interesting to know Professor Patnaik's explanation about the present crisis of Indian left. May be some other time.